Haywards Heath is celebrating its fifth Art Trial in 2017 which takes place from 8th April to 22nd April. Organised by the Haywards Heath Community CIC, the event will this year feature a 'Fringe' to it with a number of local organisations arranging their own events and exhibitions to coincide with the period of the Art Trail. Details of the Art Trail Route are provided below. However if you would like to see full details of the exhibitions, please see the Fringe Setion of the Art Trail on HH Community CIC Website. Click here to be redirected to their site. We are a friendly group of like minded people. The current membership is over 400. Our membership fee is currently £38 per annum for which it is possible to enjoy 10 lectures with coffee and biscuits beforehand. Visits and Special Interest Days are also available at a separate charge. All our lectures are given by speakers who are 'nationally-acclaimed' experts in their subject. Guests are always welcome at our lectures for a small charge of £7/lecture [coffee and biscuits included]. For details of forthcoming and recent lectures, visits, special interest days please click on 'Lectures' or 'Visits' and 'Special Events'. Special Interest days and cultural tours are also organised by The Arts Society nationally and by Sussex area. These are open to members and non members alike. Click here or go to 'Useful Links' to link to their web sites. The Adventurers Art Club offers workshops and demonstrations, the opportunity to meet with other Artists or watch professional Artists and the chance to be part of an annual exhibition. For full details, please click here to visit the Adventurers Art Club website. 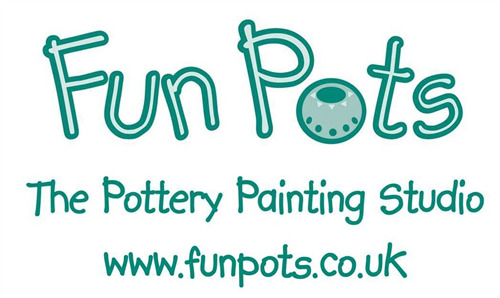 The Fun place in Haywards Heath to paint your Pottery, Make individual gifts, capture special moments or take time out for yourself. Ideal for Children's Parties, Schools or Adults. The Green Tree Gallery situated in the beautiful surroundings of Borde Hill Garden, featurings events, exhibitions and workshops as well as a Gallery of work from local artists. To find out more about the Green Tree Gallery and its events, please click on the logo above to visit their web site. The Lindfield Art Studio offers workshops and courses throughout the year for adults and children of all ages. It offers a wide range of fun activities and events from after school clases, holiday clubs, art parties, adult workshops, art tuition and exhibitions. For more information on the Lindfield Art studio, please click on their logo above to visit their site. Adult Relax with Colouring Sessions at the Haywards Heath Library - Every 2nd Wednesday of the month from 2.00-3pm, just dop-in (all materials provided). There are also weekly Art and Craft classes held at The Redwood Centre in Haywards Heath. These include knitting, scrap booking, and Flower Craft. For details of these, please click here to visit the AgeUKWest Sussex website.